I order most of the sequins I use from an Etsy shop in Australia called Pretty Craft Things. 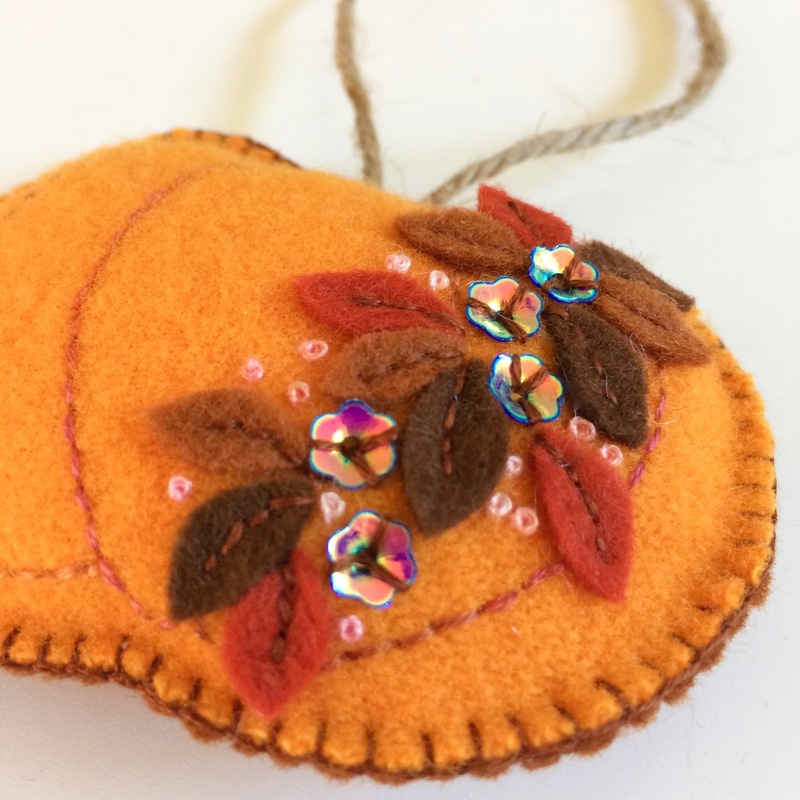 That makes it sound like I use sequins all the time, I don't, but I do like them on special Christmas and Thanksgiving items, like the felt pumpkins below. Look at that gorgeous sparkle! Some are a solid color and others like these little cup shaped flowers are iridescent. 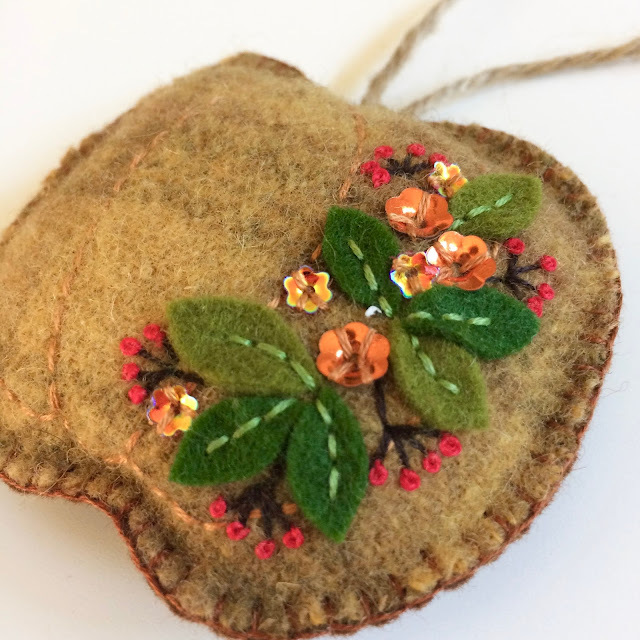 It has been really hot here this week so I am trying to ignore that by making these little felt pumpkins. 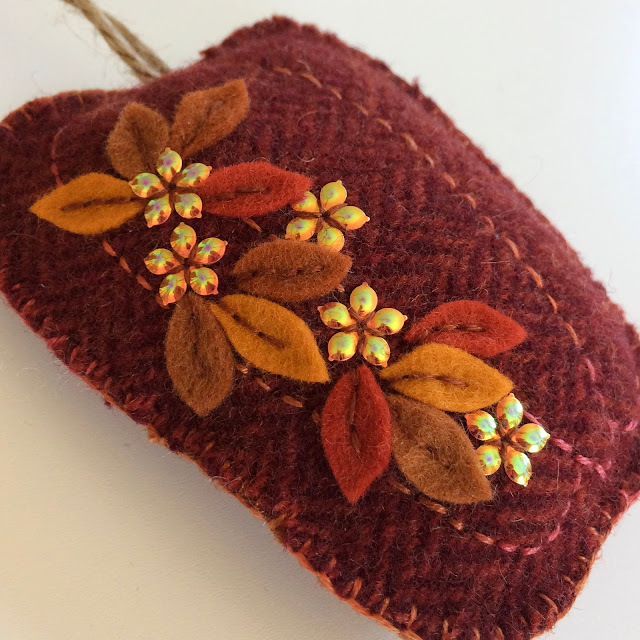 These can be hung on a cupboard door knob (I hang one on my china cabinet door in the Fall), draped on the neck of a bottle of wine as a hostess gift, or used as napkin rings. I also hang several on some tall sticks that I cut from a tree in the garden once the leaves have fallen and put in a wooden vase on the mantel. I've also made a few as custom items with a child's name on who has a Fall birthday. They then become special personalized Christmas ornaments. 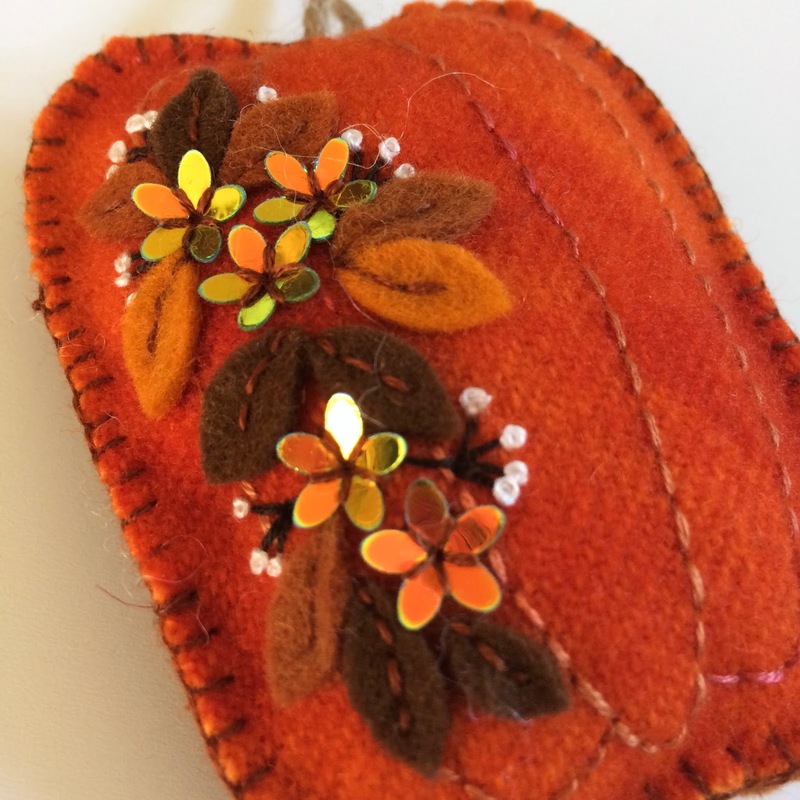 I use hand dyed wool felt for the pumpkins because it has such a nice texture and some pieces have a pattern too. 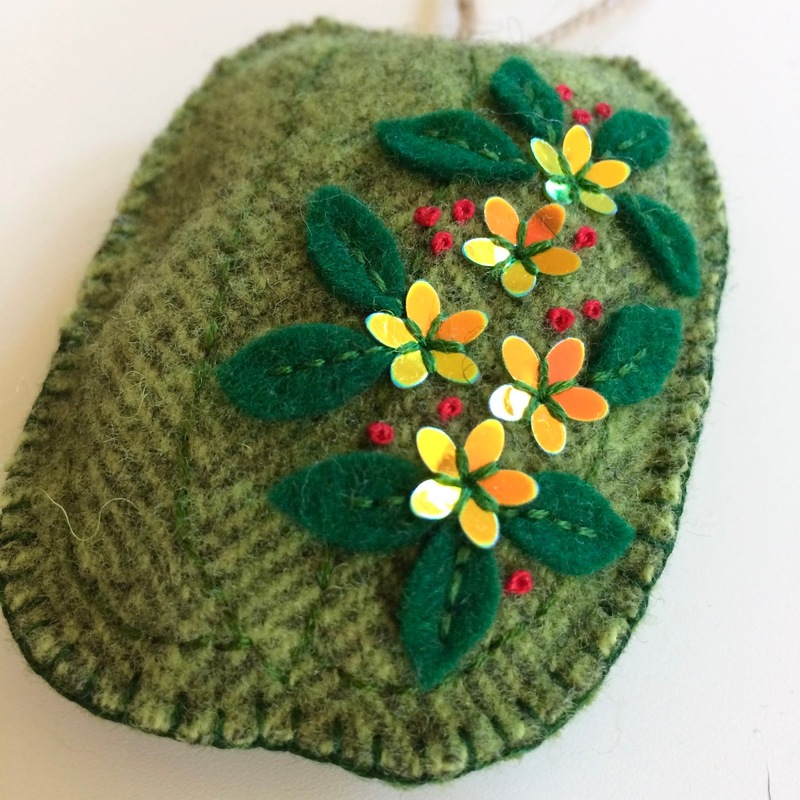 I get all my lovely soft hand dyed wool felt from fellow Etsy shop, Quilting Acres. I have a pile of pumpkins to photograph and list and some more to finish up.